Keep it interesting by elevating your candles, flowers or props with our stands. Use these clear stands to create different heights without taking away from the beautiful arrangements that sit on top. Large - 12” x 12” x 32"
Medium - 11” x 11” x 24"
Small - 10” x 10” x 16"
Not a fan of the Roman columns but love the white look? These stands are both traditional and modern. 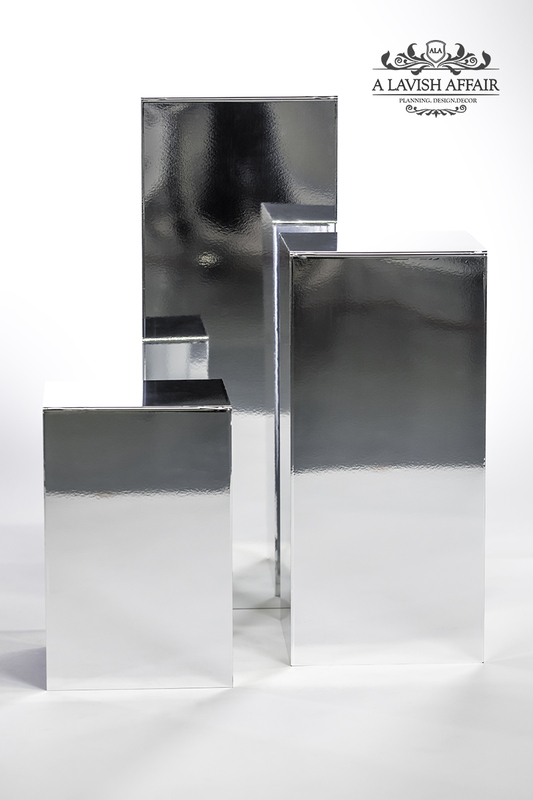 Choose chrome for a modern look. A nice addition to any whimsical vision. Fairy lights are battery operated. 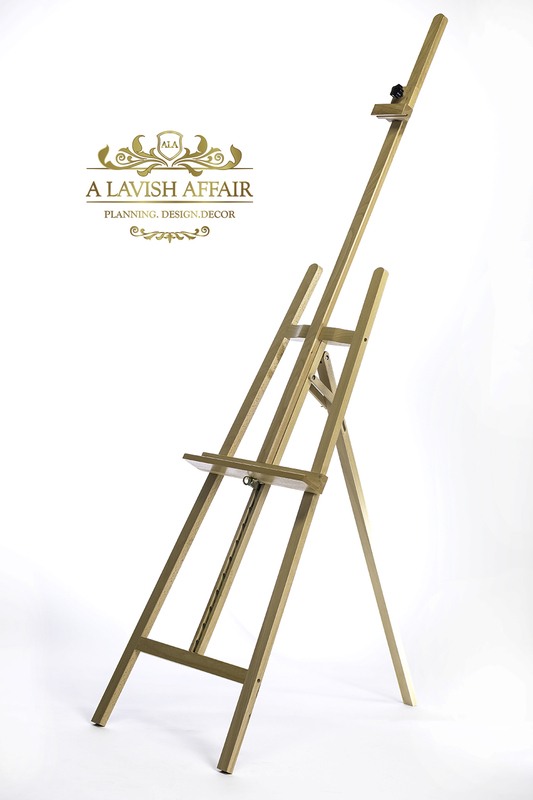 Sturdy floor easel, great for welcome signs and even large mirrored seating charts. A touch of gold to welcome your guests. Larger size also available for seating charts. Silk florals are customizable.